Harry Bertoia was born on March 10, 1915 in San Lorenzo, Italy. He immigrated to the United States in 1930 and enrolled in Cass Technical High School. There he studied art and design, eventually learning a trade in designing jewelry. He went on to study at the Art School of the Detroit Society of Arts and Crafts and then to Cranbrook Academy of Art where he met Walter Gropius, Edmund Bacon, and Ray and Charles Eames. In 1939 Bertoia opened a metal workshop where he taught metalwork and jewelry design. In 1950 he moved to Pennsylvania where he established a studio and began to work with Hans and Florence Knoll, the iconic furniture designers. Bertoia designed a number of chairs for the Knolls known as the Bertoia Collection. In the mid 1950’s he turned his attention solely to sculpture. 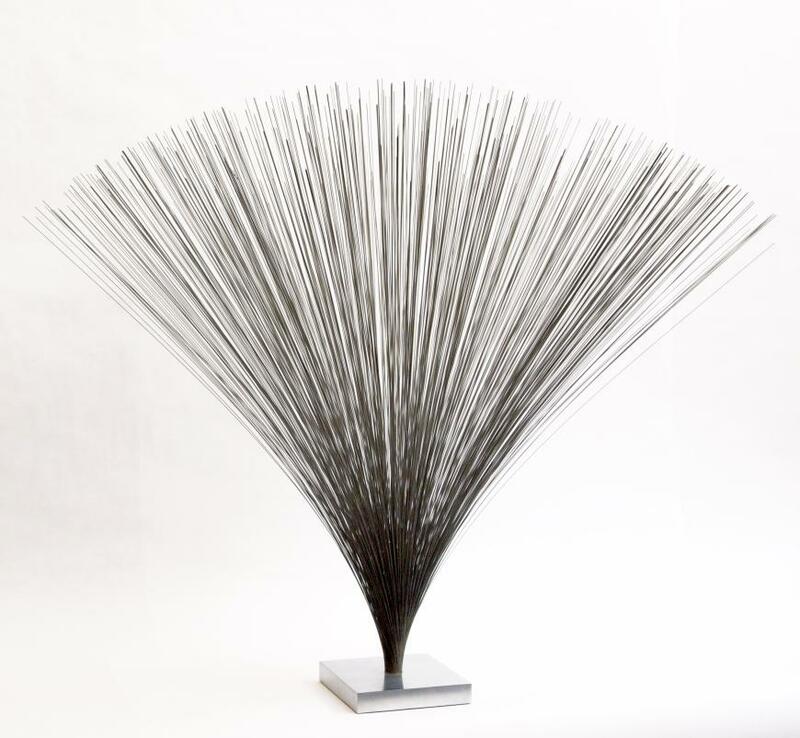 In the 1960’s Bertoia embarked upon creating his sound or “Sonambient” or “tonal” sculptures which would be one of the most important innovations in the realm of sculpture in the 20th century. It is believed that Bertoia had an “epiphany” when he struck a metal rod while working with it and was taken with the sound it produced. 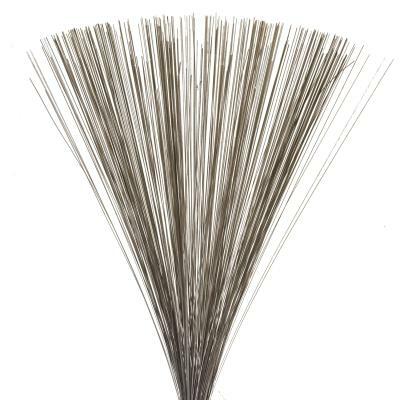 It is important to note that Bertoia’s focus was on working with various alloys and metals to develop certain tonalities and that the air and space around these works was important in his thought process. Today his sculptures can be found in a number of well known museums, corporations, educational institutions, and private collections. His sound sculptures especially both fascinate and attract numbers of ardent art patrons and collectors. Bertoia died in Pennsylvania in 1978. The Harry Bertoia Research Project continues his legacy. Yet it is the sound of his sculptures that will live on in the memories of his followers and supporters. 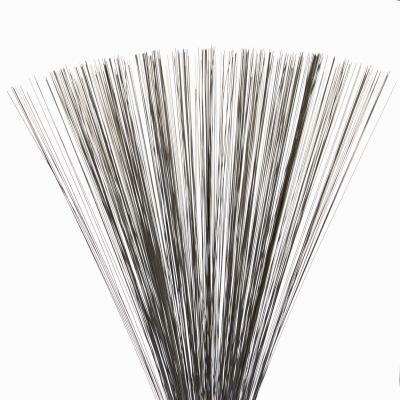 Bertoia’s spray sculptures are his most elegant sculpture creations. While they do not make any sound, they are meant to be “played” with and are carefully orchestrated to move in a hypnotic and graceful manner. 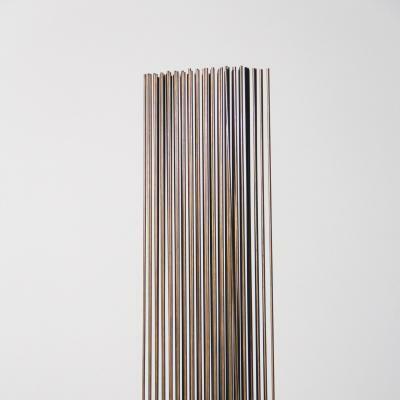 Whether gathered in one’s hand and released or gently brushed with a hand, the rods move in concentric circles. There is a beauty and gentle quality to this movement that mimics elements in nature, such as wheat in fields and certain plant life underwater such as coral.